Ash Barty has begun her grasscourt season on a strong note with a come-from behind victory over 92nd-ranked Tatjana Maria in Nottingham. 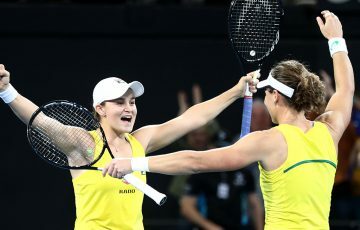 The Ash Barty resurgence is continuing on one week after her and doubles partner Casey Dellacqua lost the French Open final. 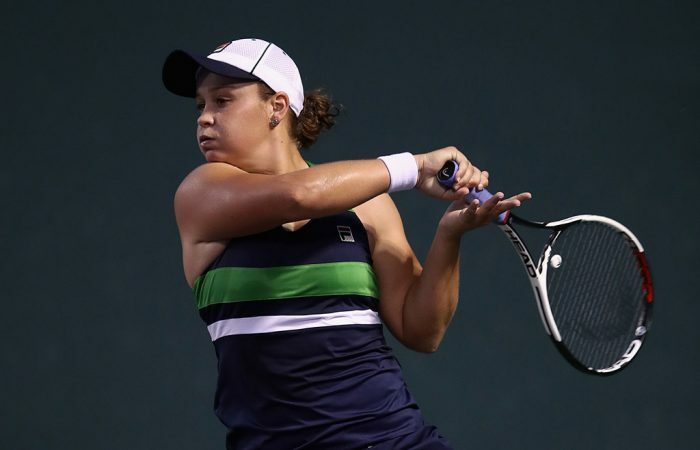 Barty started her Nottingham tournament slowly, dropping the opening set to German world No.92 Tatjana Maria before rallying to break Maria twice in the second set and rout her in the third for a 4-6 6-3 6-0 victory. The win has booked Barty a second round battle with 20-year-old Croatian qualifier Jana Fett. 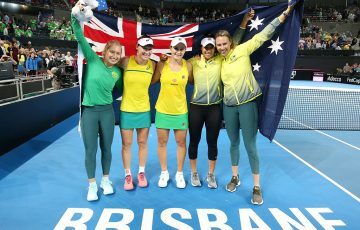 Should the 21-year-old Australian win that then she would likely face top-seeded Brit Johanna Konta in the quarters, who back on the grass, cruised to victory over fellow Briton Tara Moore. 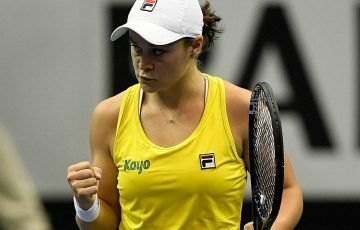 Last year in Nottingham, Barty made a successful comeback at her first tour-level event since the US Open in 2014, advancing to the quarterfinals as a qualifier and pushing top seed Karolina Pliskova to two tiebreaks. At the time she was ranked 623rd; 12 months on she’s risen to world No.88. Konta, meanwhile, was leading 6-2 3-0 when Moore retired hurt and she will play Belgian veteran Yanina Wickmayer in the second round. 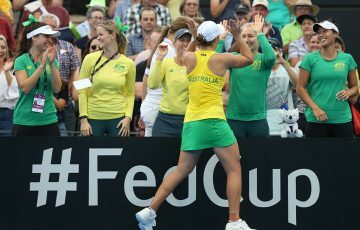 Konta, serving strongly and redirecting the ball well, faced just one break point herself – by contrast, Moore delivered 10 double faults, many at crucial stages. 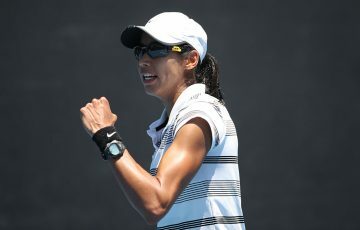 Visibly struggling with a leg injury, the 24-year-old called a medical time-out after falling behind a double break in the second set, and conceded the match shortly afterwards.